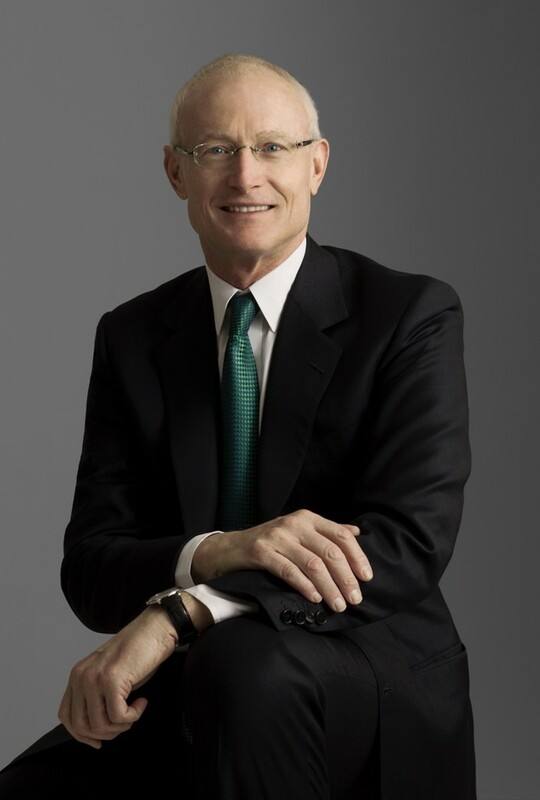 Michael E. Porter is a leading authority on competitive strategy, the competitiveness and economic development of nations, states, and regions, and the application of competitive principles to social problems such as health care, the environment, and corporate responsibility. Professor Porter is generally recognized as the father of the modern strategy field, as has been identified in a variety of rankings and surveys as the world’s most influential thinker on management and competitiveness. He is the Bishop William Lawrence University Professor, based at Harvard Business School. A University professorship is the highest professional recognition that can be awarded to a Harvard faculty member. In 2001, Harvard Business School and Harvard University jointly created the Institute for Strategy and Competitiveness, dedicated to furthering Professor Porter’s work. He is the author of 18 books and over 125 articles. He received a B.S.E. with high honors in aerospace and mechanical engineering from Princeton University in 1969, where he was elected to Phi Beta Kappa and Tau Beta Pi. He received an M.B.A. with high distinction in 1971 from the Harvard Business School, where he was a George F. Baker Scholar, and a Ph.D. in Business Economics from Harvard University in 1973. Professor Porter’s ideas are the foundation for courses on strategy and competitiveness, and his work is taught at virtually every business school in the world. At Harvard, Professor Porter’s course, Microeconomics of Competitiveness, is a graduate course open to students from across the university. It is also taught in partnership with more than 80 other universities from every continent using curriculum, video content and instructor support developed at Harvard. Professor Porter developed and chairs the New CEO Workshop, a Harvard Business School program for newly appointed CEOs of the world’s largest and more complex corporations. Held twice each year by invitation only, the workshop focuses on the challenges facing new CEOs in assuming leadership. His Harvard Business Review article with Jay Lorsch and Nitin Nohria, ‘Seven Surprises for New CEOs’ (October 2004), describes some of the learning from this ongoing body of work. Professor Porter speaks widely on strategy, competitiveness, health care delivery, related subjects to business, government, non-profit, and philanthropic leaders. Professor Porter’s core field is competitive strategy, which remains a major focus of his research. His book, Competitive Strategy: Techniques for Analyzing Industries and Competitors, is in its 63rd printing and has been translated into 19 languages. His second major strategy book, Competitive Advantage: Creating and Sustaining Superior Performance, was published in 1985 and is in its 38th printing. His book On Competition (2008) contains his most influential articles on strategy and competition, including the award-winning Harvard Business Review article ‘What is Strategy?’ (1996) and ‘The Five Competitive Forces That Shape Strategy’ (2008), a revised and extended version of his classic article on industry analysis. Professor Porter’s next major book on strategy is in process. Professor Porter’s 1990 book, The Competitive Advantage of Nations, presents a new theory of how nations and regions compete and their sources of economic prosperity. Motivated by his appointment by President Ronald Reagan to the President’s Commission on Industrial Competitiveness, the book has guided economic policy in countless nations and regions. Subsequent articles have expanded on the concept of clusters (geographic concentrations of related industries that occur in particular fields) and other aspects of the theory. National Competitiveness. Professor Porter has published books about national competitiveness covering New Zealand, Canada, Sweden, and Switzerland. His book Can Japan Compete? (2000) challenged long-held views about the Japanese economic miracle. Professor Porter chairs the Global Competitiveness Report, an annual ranking of the competitiveness and growth prospects of more than 120 countries published by the World Economic Forum. Clusters. Professor Porter’s ideas on clusters, first introduced in 1990, have given rise to a large body of theory and practice throughout the world. Cluster-based economic development thinking has resulted in many hundreds of public-private cluster initiatives in virtually every country. The article “Clusters and Competition: New Agendas for Companies, Governments, and Institutions” and On Competition (1998) provide a summary. Regional Competitiveness. Professor Porter extended his work on competitiveness to states, provinces, and other sub-national regions. He led the Clusters of Innovation project which developed a framework for economic policy in U.S. regions. He also created the Cluster Mapping Project at Harvard, which provides rich data on the economic geography of U.S. regions and clusters on a special web site. Professor Porter’s methodology is the basis for comprehensive new data on the economic geography of the 27 countries of the European Union. The article ‘The Economic Performance of Regions’ (2003) summarizes some of the important findings from this data, and a new paper, ‘Convergence, Clusters and Economic Performance’ (2006), with Mercedes Delgado and Scott Stern, presents the first comprehensive statistical examination of U.S. regional performance using cluster data. Innovation. Professor Porter is co-author (with Professor Scott Stern and others) of a body of work on the sources of innovation in national and regional economies, including The New Challenge to America’s Prosperity: Findings from the Innovation Index (1999), ‘The Determinants of National Innovative Capacity’ (2000), and ‘Measuring the ‘Ideas’ Production Function: Evidence from International Patent Output’ (2000). Professor Porter’s third major body of work has addressed the relationship between competition and important social issues such as poverty and the natural environment. Economically Distressed Communities. Professor Porter offered a new approach to revitalizing distressed urban communities, beginning with the Harvard Business Review article ‘The Competitive Advantage of the Inner City’. In 1994, he founded The Initiative for a Competitive Inner City (ICIC), a non-profit, private-sector organization to catalyze inner-city business development across the country. Professor Porter is Chairman of the ICIC, a national organization that works in cities across America. Professor Porter has also written on economic development in rural areas. The Natural Environment. Professor Porter introduced a controversial theory that environmental progress and economic competitiveness were not inconsistent but complementary, first put forth in his Scientific American essay, ‘America’s Green Strategy’ (1991), and developed in more detail in his article ‘Toward a New Conception of the Environment-Competitiveness Relationship’ (1995). The “Porter Hypothesis” has been the subject of more than 100 articles and has spawned a rich literature. The theory is now gaining widening acceptance and is guiding corporate practice and thinking about regulation. Philanthropy and Corporate Social Responsibility. Professor Porter has devoted growing attention to philanthropy and the role of corporations in society. His Harvard Business Review article with Mark Kramer, ‘Philanthropy’s New Agenda: Creating Value’ (1999), introduced a new framework for developing strategy in foundations and other philanthropic organizations. His Harvard Business Review article, ‘The Competitive Advantage of Corporate Philanthropy’ (2002), focused on how corporations can create more social benefit with their philanthropy. His Harvard Business Review article with Mark Kramer, ‘Strategy and Society: The Link Between Competitive Advantage and Corporate Social Responsibility’ (2006), puts forth an approach for companies to think strategically about corporate social responsibility. With Mark Kramer, Professor Porter co-founded the Center for Effective Philanthropy, a non-profit organization dedicated to creating concepts and measurement tools to improve foundation performance. He also co-founded FSG-Social Impact Advisors, an international non-profit advisory firm that provides advice and innovative ideas about social strategy to foundations, corporations, and social service organizations. Since 2001, Professor Porter has devoted considerable attention to competition in the health care system, with a focus on improving health care delivery. His work with Professor Elizabeth Teisberg, including the book Redefining Health Care: Creating Value-Based Competition on Results (Harvard Business School Press, 2006), is influencing thinking and practice not only in the United States but numerous other countries. Curriculum growing out of this research is being taught at Harvard and elsewhere. Professor Porter has served as a strategy advisor to top management in numerous leading U.S. and international companies, among them Caterpillar, DuPont, Procter & Gamble, Royal Dutch Shell, Scotts Miracle-Gro, SYSCO, and Taiwan Semiconductor Manufacturing Company. Professor Porter currently serves on the board of directors of two public companies, Thermo Fisher Scientific Corporation and Parametric Technology Corporation. Professor Porter serves as senior strategy advisor to the Boston Red Sox, a major league baseball team. He has advised numerous educational and community organizations on strategy. Professor Porter is actively involved in assisting governments in the United States and abroad. He plays an active role in U.S. economic policy with the Executive Branch, Congress, and international organizations. Professor Porter is a founding member and member of the Executive Committee of the Council on Competitiveness, America’s leading private-sector competitiveness organization made up of chief executive officers of major corporations, unions, and universities. He also chairs the selection committee for the annual Corporate Stewardship Award of the U.S. Secretary of Commerce. Professor Porter advises national leaders in numerous countries on competitiveness including Armenia, Colombia, Ireland, Nicaragua, Russia, Rwanda, Saudi Arabia, Singapore, Taiwan, and the United Kingdom. He has personally led major studies of economic strategy for the governments of such countries as Canada, India, Kazakhstan, Libya, New Zealand, Portugal, and Thailand. Professor Porter’s thinking about economic development for groups of neighboring countries has resulted in a long-term initiative within Central America, including the formation of the Latin American Center for Competitiveness and Sustainable Development (CLACDS), a permanent institution based in Costa Rica. At the state and local level, Professor Porter has worked extensively in his home state of Massachusetts and numerous others. He has been honored by governments for his work in Basque Country, Catalonia, Connecticut, and South Carolina. He chaired the Governor’s Council on Economic Growth and Technology in Massachusetts during the period when Massachusetts made dramatic improvements in competitiveness. Professor Porter has been widely recognized for his work. Some of these honors (in chronological order) include Harvard’s David A. Wells Prize in Economics (1973) for his research in industrial organization. He received the Graham and Dodd Award of the Financial Analysts Federation in 1980. His book Competitive Advantage won the George R. Terry Book Award of the Academy of Management in 1985 as the outstanding contribution to management thought. Professor Porter was elected a Fellow of the International Academy of Management in 1985, a Fellow of the Academy of Management in 1988, and a Fellow of the Royal Swedish Academy of Engineering Sciences in 1991. In 1991, he received the Charles Coolidge Parlin Award for outstanding contribution to the field of marketing and strategy, given by the American Marketing Association. Professor Porter was honored by the Massachusetts State Legislature in 1991 for his work on Massachusetts competitiveness. In 1993, Professor Porter was named the Richard D. Irwin Outstanding Educator in Business Policy and Strategy by the Academy of Management. He was the 1997 recipient of the Adam Smith Award of the National Association of Business Economists, given in recognition of his exceptional contributions to the business economics profession. In 1998, he received the International Academy of Management’s first-ever Distinguished Award for Contribution to the Field of Management. In 2001, the annual Porter Prize, akin to the Deming Prize, was established in Japan in his name to recognize Japan’s leading companies in terms of strategy. In 2003, the Academy of Management recognized Professor Porter with its highest award, for scholarly contributions to management. In 2005, Professor Porter became an Honorary Fellow of the Royal Society of Edinburgh. That year, he was awarded the John Kenneth Galbraith Medal (presented by the American Agricultural Economics Association. That year, he was also honored by the South Carolina legislature for his efforts in assisting and promoting economic development in that state. In 2007, Professor Porter’s book, Redefining Health Care, was awarded the James A. Hamilton Award as the outstanding health care book of the year. In 2008, he received the first ever Lifetime Achievement Award from the United States Department of Commerce for his contribution to economic development. Professor Porter has received six McKinsey Awards for the best Harvard Business Review article of the year, including an unprecedented four first-place awards. Professor Porter has received honorary doctorates from the Stockholm School of Economics; Erasmus University (the Netherlands); HEC (France); Universidada Tecnica de Lisboa (Portugal); Adolfo Ibanez University (Chile); INCAE (Central America); The University of Deusto (Basque Country); The University of Iceland; Universidad de los Andes (Colombia); HHL-Leipzig Graduate School of Management (Germany); Universidad San Martin de Porres (Peru); Johnson and Wales University (United States); and Mt. Ida College (United States). Professor Porter has also been awarded national honors including the Creu de St. Jordi (Cross of St. George) from Catalonia (Spain) and the Jose Dolores Estrada Order of Merit, the highest civilian honor awarded by the Government of Nicaragua. Professor Porter was born in Ann Arbor, Michigan, and lived and traveled throughout the world as the son of a career Army officer. He was an all-state high school football and baseball player in the state of New Jersey where he attended high school. At Princeton, he played intercollegiate golf and was New England champion. He was named to the 1968 NCAA Golf All-American Team. After graduating from college, Professor Porter served through the rank of captain in the U.S. Army Reserve. He maintains a long-time interest in the esthetics and business of music and art, having worked on the problems of strategy with arts organizations and aspiring musicians. Professor Porter has two daughters and resides in Brookline, Massachusetts.